Oklahoma State University Center for Veterinary Health Sciences’ students participate in the national SAVMA House of Delegates Meeting held recently in Denver, Colo. Left to right: Kellie Hale, Kim Kern, Seth Hiddink, and Kyre Larrabee. 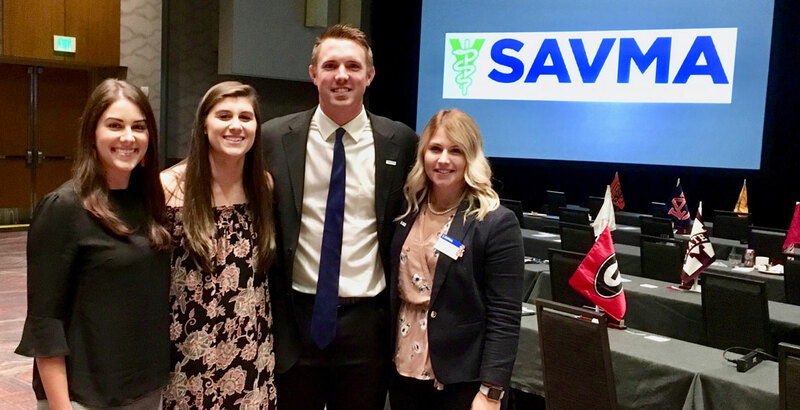 Oklahoma State University Center for Veterinary Health Sciences student delegates recently attended the national SAVMA House of Delegates Meeting held during the American Veterinary Medical Association Convention. Representing the veterinary center were Kellie Hale (’20) OSU SAVMA chapter president, Kim Kern (’21) OSU SAVMA chapter president-elect, Seth Hiddink (’21) junior delegate, and Kyre Larrabee (’20) senior delegate and national SAVMA president-elect. Topics of discussion included student debt, student and young professional wellness, and veterinary advocacy at the Capitol. Delegates also worked closely with chapter presidents during round table discussions to create ideas on improving the organization for members. Finally the student delegates met with Oklahoma Veterinary Medical Association representatives to brainstorm ways the OVMA and the students can work more closely. Participating were Oklahoma delegate Dr. Charles Freeman (’73), alternate delegate Dr. Rosemarie Strong (’89), OVMA president Dr. Kelly Cooper (’96) and OVMA executive director Amanda Meeks. 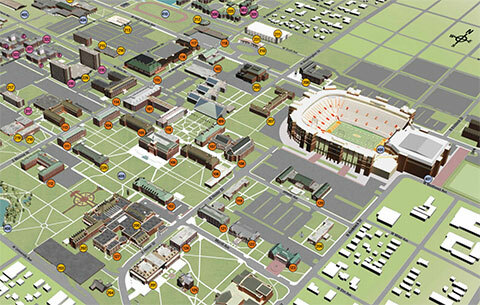 Great OSU Cowboy representation at this national event!